Hope you had a wonderful Spring break! Welcome back TDPS! It was a great week for snowfall, sunshine, #marchforourlives, resting, vacationing and a host of other cool things. Hopefully everyone had a wonderful Spring break! 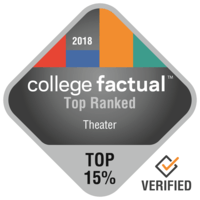 The numbers are proof, the University of Maryland College Park's drama and theater programs ranked highly among the nations 4-year Colleges and Universities. Read more in this edition. If you're looking for summer jobs and internships, be sure to check out the opportunities section. For the Fall 2018 semester, TDPS will be hosting a first round of auditions for both shows, Little Shop of Horrors and Citizen. Students will have the opportunity to strut their stuff for a panel of faculty members – including Scot Reese, Jennifer Barclay, and Leslie Felbain. If auditioning for Little Shop: Please also prepare 32 bars of a song in the style of the show. You must bring your own sheet music, in your key and in a binder. An accompanist will be provided. There is no performing acapella. Staff from the DIT Learning Technology Design group will be available to consult with Theater, Dance, Performance Studies, and Music instructors on questions about ELMS Canvas course design and related tools use starting Monday, March 26. Local support will be provided in the School of Theatre, Dance, and Performance Studies 2804 conference room on a weekly basis between now and the end of the semester on Mondays from 9-11 a.m. This is a drop-in service; appointments are not necessary. Lengthier consulting needs can still be scheduled outside of these drop-in hours by emailing ltdesign@umd.edu. Do you have questions about speed-grader, Turnitin, question banks, template-based course design, content accessibility, Panopto, WebEx and the like? Come see an LTD instructional technologist. Projections Designer Dylan Uremovich presents Coding for Live Performance, which will explain the motion tracking technology and coding used to create the visuals for Allen Xing's Equinox and Solstice , which just premiered as part of our 2018 MFA Dance Thesis Concert. Dylan will examine code created in processing Java-based coding environment, the Isadora media server, and the artistic process of creating a visual sandbox for performers to play in. The lecture will also discuss upcoming class opportunities within The School of Theatre, Dance and Performance Studies to learn these and other programming techniques in more depth for use in your own performance work. 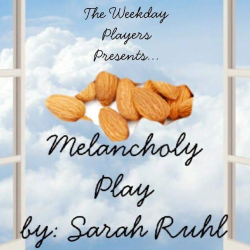 The Weekday Players present Melancholy Play , a farce by Sarah Ruhl, exploring the driving forces of emotion and love. Melancholy Play, written in 2002 by Sarah Ruhl, follows the emotional roller coaster ride of Tilly, a bank teller who is loved by others, including her therapist, her hairdresser, and a bank customer, for her constant state of melancholy. But when Tilly discovers happiness, her joy throws everyone off. Her sadness, we learn, was seductive, but her happiness is just irritating. Registration for the 2018 MAD DASH Dance Festival is now open for TDPS students and staff! Sign up sheets are located outside of TDPS Offices and outside of Dance Studio Two. Experience immersive dance theater, hip hop, performance coaching, creative process, partnering, repertory, choreography feedback, projection collaboration & dance-your-heart-out classes. Featuring guest artist presentations, professional development, artist Q&A, pizza and more! The 2018 Black Theatre & Dance Symposium continues to champion efforts towards inclusion and diversity in American theatre, dance, and performance. Professionals, scholars, and students will convene to discuss and take action around these ideas in order to influence and expand practices of inclusion in the field of theatre, dance and performance studies. Doctoral Students: Final date to submit: dissertation via ETD System and electronic publication form, to the Office of the Registrar. Dissertation directors to submit signed Report of Examining Committee form to the Office of the Registrar. 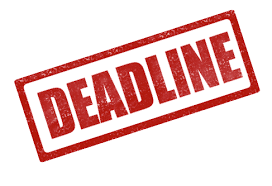 Master's Thesis Students: Final date to submit thesis via ETD System and electronic publication form to the Registrar Office. Master’s Non-Thesis Students: Final date to submit Certification of Master degree without Thesis form to the Office of the Registrar. If you have any questions, please contact Crystal Gaston at cgaston@umd.edu . 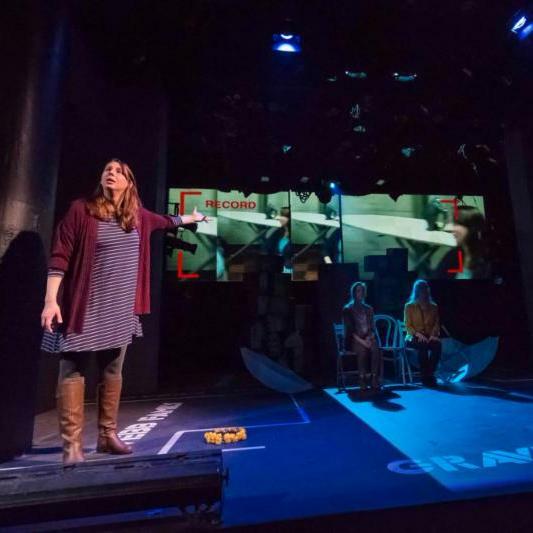 Jennifer Barclay's play Ripe Frenzy - developed from the beginning with Jared Mezzocchi - has been selected for a National New Play Network Rolling World Premiere. This spring the play will have productions at New Rep in Boston; Synchronicity Theatre in Atlanta; and Greenway Court in LA. You can read more about the play in a feature in the Boston Globe. University of Maryland College Park performed very well in a recent ranking of drama & theater arts degree programs. College Factual ranks programs offered by 4-year U.S. Colleges and Universities and has recently updated their 2018 rankings . University of Maryland College Park's drama & theater arts program was ranked 31 out of 306 nationwide. This makes UMCP one of the top programs in the U.S. to study drama & theater arts! The UMD Division of Research is seeking Nominations for the 2018 Research Communicator Impact Award. Directions to nominate yourself or a colleague can be found at research.umd.edu. Nominations must be submitted by April 10, 2018 via this form. Florida Studio Theatre is now accepting applications for its Intern & Acting Apprentice program! The program is an immersive and comprehensive way to bridge the gap between academic theatre and the professional world and to provide additional training and experience. More information or to apply click here. The Kennedy Center's Summer Ballet Program, Exploring Ballet with Suzanne Farrell, is looking for two female chaperones to work from July 22 - August 12, 2018. For more information contact Sharias Oie at soie@kennedy-center.org. Teach Summer Camp at Madeira. Madeira is looking for an instructor for the Girls First! camp sessions July 22 - August 6.2018. Housing is available and included int e contract. Contact Shaun Min, Director of Summer Programs, at smin@madeira.org or visit here for more information. Conscience Drama Directive is recruiting a Stage Manager and an Assistant Director for it's Summer production: Nobody Dies on Friday. Rehearsals begin May 13 at The Clarice and Performances are June 13 - July 1. For more information contact Artistic Director David Paglin at dpaglin@aol.com, 301-792-7095. Everyman Theatre is hiring for its Education Apprenticeship program! Everyman is a leading professional theatre in Baltimore dedicated to producing high-quality theatre featuring a resident company of artists and curating transformative experiences through life-long learning and community engagement. Interested? Click here for more information. Shakespeare in Italy's is holding its 4th International Summer School this summer. This year it will take place in Pizzo Calabro in Calabria on the toe of Italy from May 19th – June 2nd. Students will be instructed by highly respected UK based Shakespearean actors and directors. For more information on the program, please see their website. Folger Theatre is hiring Production Stage Managers for its upcoming season. This is a weekly contract position that begins with first rehearsal. Folger Theatre’s performance schedule is an 8 show week. MUST be a member in good standing of Actors’ Equity Association. For more information on how to apply, click here. The Shakespeare Theatre Company seeks an Education Coordinator for an active Education Department. This position provides administrative and office support for the Director of Education and the Education Department managers. If interested, please apply through their website or you may send a cover letter, resume, and references to employment@shakespearetheatre.org. Attention Graduating Seniors and Alumni: The 2018 DC Theatre Technician Cattle Call will be held on Sunday, April 22 and Monday, April 23 at Sidney Harman Hall from 9:00 AM - 6:00 PM. For more details and information on how to book an appointment, click here. MD Theatre for the Performing Arts is in search of talented, young performing arts professionals to perform at various fundraisers and receptions that support the theatre. All events will take place in the Annapolis region and will vary in length and time. Interested? Contact Operations Coordinator, Mattie Fenton at 410-626-6055 or mattie.fenton@mtpa-annapolis.org. 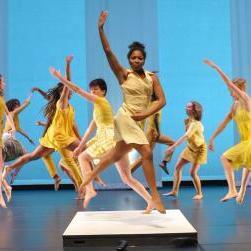 Dance Place in hiring a summer interns for a variety of administrative and artistic internships! For more information on the internship programs, click here. To apply, send a cover letter, resume, and letter of recommendation to internships@danceplace.org. Capital Fringe is seeking venue managers, lighting coordinators, and audio & projections coordinators for the Capital Fringe Festival July 7 - 29, 2018. For more information, click here or e-mail Lee Cromwell, Festival Producer at lee@capitalfringe.org. Join CKM&A for a 10-day summer intensive that inspires, nurtures and challenges pre-professional and professional dancers with a rigorous schedule of modern, ballet, contemporary jazz, and partnering classes taught by Artistic Director Christopher K. Morgan. CKM&A has created a special discount code for UMD students for an additional $25 off the registration; just use the code TERPS. More information here. Proposals are now being accepted for the 2019 Generation Study Abroad Access Grant (amount:$20,000). If you have an innovative faculty-led study abroad program that increases access to study abroad for underrepresented students, Submit your proposal by Friday, April 13, 2018. The call for summer 2019 Faculty-led Study Abroad program proposals will open on June 1st, 2018 with proposals due September 15th, 2018. If you are interested in scheduling a program development meeting to discuss your program idea, please contact Jennifer Precht at jprecht@umd.edu. The Kennedy Center’s summer ballet program, Exploring Ballet with Suzanne Farrell, is looking for two female chaperones to work from July 22 – August 12, 2018. For more information, click here or e-mail Sherisa Oie at soie@kennedy-center.org. Cecchetti USA is holding their annual Residential Summer Course in Clarice studios this Summer! They have graciously offered to sponsor up to 10 students from the University of Maryland to attend the full week of classes on a Fully Paid Scholarship. If you're interested in this opportunity, check out the brochure. 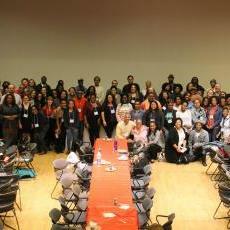 The Maryland Dialogues on Diversity & Community present the 2018 ExpressYourself! Student Expression Contest. All students can submit an essay, visual arts or creative arts piece on race and racism or sexual misconduct for a cash prize. Assignments submitted as class work are acceptable for submission. Entry deadline is April 6, 2018. For Express Yourself! questions, please contact ExpressYourselfAward@umd.edu . Want to be a good neighbor? Register or volunteer for Good Neighbor Day! Good Neighbor Day is a collaborative partnership between the University of Maryland, the City of College Park, and The Maryland-National Capital Park and Planning Commission (M-NCPPC). The event brings together the College Park community to beautify shared spaces, educate and engage in sustainable practices, and take pride in Greater College Park. For our part, the Clarice have a box in the Suite 3800 lobby for food donations that will support the UMD Campus Pantry and the College Park Community Food Bank. For more information on what donations we're accepting, click here. Joe's Movement Emporium will host its 2018 Annual Gala: A Night at the Club on Saturday, March 24, at its Mount Rainier location. The gala celebrates 20 years of Club Joe's - Joe's highly popular arts-based aftercare program that has transformed generations of young minds. Funds from the evening will integral to Club Joe's expansion beyond the walls of Joe's and into local schools and communities. The Gallaudet Dance Company will present, LET'S DANCE!, an entertaining production featuring local guest artists and a variety of dance genres including hip hop, jazz, modern, lyrical, and ASL fused with dance. A Raisin in the Sun, written by Lorraine Hansberry, directed by Theatre and Dance Program adjunct faculty Michelle Banks, and presented by special arrangement with Samuel French, Inc. The Youngers are an African-American family living in poverty on the South Side of Chicago, struggling to make do with the little money they have. They desire to pursue their American dreams like everybody else. In the end, they all move to a new home, even though the road ahead will be difficult. build a project, or practice for a dance showcase? We can help! Our state-of-the-art facility has space you can rent. 3 FREE HOURS of rehearsal space each semester and additional hours for only $15/hr! Spaces available now through August 2018. For more information, contact Jocelyn Callister at TDPS.space@gmail.com .